*Satisfaction test on 22 women, twice weekly application for 42 days. 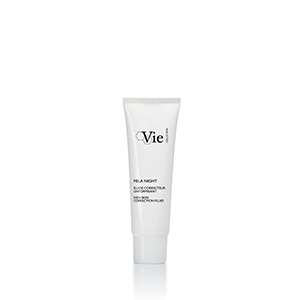 Refreshing cream-mask to boost the brightness and evenness of the skin from the first application. 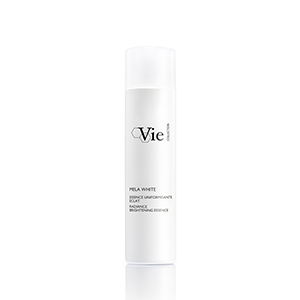 AQUA (WATER) / EAU, C12-15 ALKYL BENZOATE, GLYCERIN, CAPRYLIC/CAPRIC TRIGLYCERIDE, DIPROPYLENE GLYCOL, DIMETHICONE, BEHENETH-25, PROPYLENE GLYCOL, TETRAHEXYLDECYL ASCORBATE, MARIS AQUA (SEA WATER) / EAU DE MER, PHENOXYETHANOL, C10-18 TRIGLYCERIDES, GLYCERYL STEARATE, PEG-100 STEARATE, POLYACRYLATE-13, ACRYLATES/C10-30 ALKYL ACRYLATE CROSSPOLYMER, LACTOSE, SODIUM ACRYLATE/SODIUM ACRYLOYLDIMETHYL TAURATE COPOLYMER, POLYISOBUTENE, CHLORPHENESIN, ISOHEXADECANE, CAPRYLYL GLYCOL, PARFUM (FRAGRANCE), DISODIUM EDTA, METHYL DIISOPROPYL PROPIONAMIDE, CITRIC ACID, POLYSORBATE 80, SODIUM HYDROXIDE, PAPAIN, TOCOPHEROL, POLYSORBATE 20, SORBITAN ISOSTEARATE, SORBITAN OLEATE, PHORMIDIUM PERSICINUM EXTRACT , HELIANTHUS ANNUUS (SUNFLOWER) SEED OIL, SODIUM METABISULFITE, PANCRATIUM MARITIMUM EXTRACT, ERGOTHIONEINE.